WELCOME TO TOMGIRL’S COCKTAIL GARDEN. Colorful, nourishing, creative, delicious cocktails that will bring joy to any celebration! Custom crafted for you, ingredients delivered right to your door. Feel great now and feel great in the morning. Tomgirl Juice has partnered with Vermont’s Signature Cocktail Aromatic company, Alice & the Magician, to create a truly unique cocktail experience tailored to you. We start with a consultation in which we learn about your favorite flavors, favorite colors and your personality. We also discuss which fresh fruit and produce is in season at the time of your event and what scents and aromas we want to focus on. Inspired by our meeting, we will create a “cocktail proposal” for you to pick your favorite. After we have decided on a favorite we will schedule a tasting for you to try your selection! 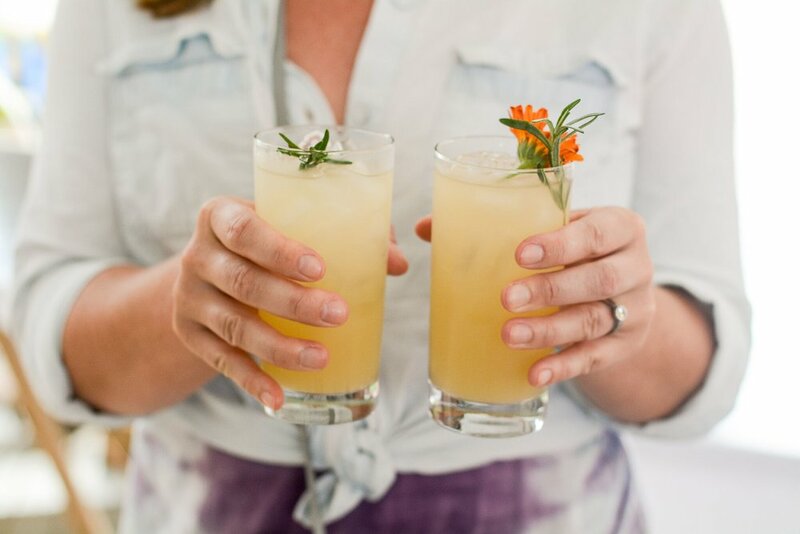 Once the final cocktail has been taste-tested and approved, you’ll just sit back and relax while we coordinate with event/wedding planners, bar caterers and venues to make sure your juice is perfectly on time, perfectly fresh and perfectly delicious. WHAT MAKES TOMGIRL GARDEN COCKTAILS DIFFERENT? COLOR: Color is uplifting, inspiring and beautiful. FRESHNESS: We pick things from the garden and turn them into juice the very same day. Never processed, pasteurized or manipulated to ensure our cocktails have the most mouth-watering flavor and maximum nourishing qualities. EXPERTISE: Our team has been in the juice and cocktail business for a combined 50 years. With experts in nutrition, food science, aroma, execution and event planning you never have to worry about a detail being overlooked. AROMATICS: Aroma is the heart and soul of flavor. Scientists estimate 80% of the enjoyment of food and drink comes from aroma and with Alice & the Magician - the leading Cocktail Aromatic Company in the country - assisting with flavor development we assure you every sip will be a delightful sensory experience. EMPATHY: We’ve been there. We know what it’s like from every aspect. Whether its a 1200 person wedding or a small, familiar get together we understand your needs and how to exceed them. START YOUR CELEBRATION, ASK A QUESTION OR GET A FREE PRICE QUOTE!